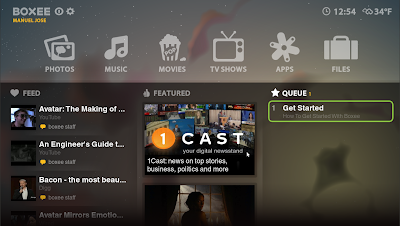 Boxee Beta is now open to all. Even its alpha release was rock solid, so one could think of the kind of expectation everyone has for Boxee Beta. From the first look, I have to say, Boxee beta has pretty much lived up to the hype. There is this really cool YouTube video showing a quick preview of Boxee Beta, done by stevesmacfix. So lets see, What's new in Boxee Beta. Simply double-click on the just downloaded deb package to install Boxee Beta. Windows, Mac and other Linux users, Visit Boxee Beta download page.